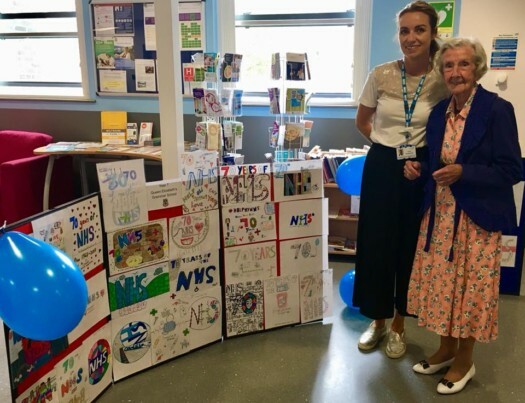 We recently spent a very special afternoon at St Oswald’s Hospital celebrating 70 years of the NHS and what fun we had! It’s such a privilege to work alongside it’s dedicated staff & to be part of the hospital community. Thank you to everyone who donated, helped or came along to the afternoon to join us. 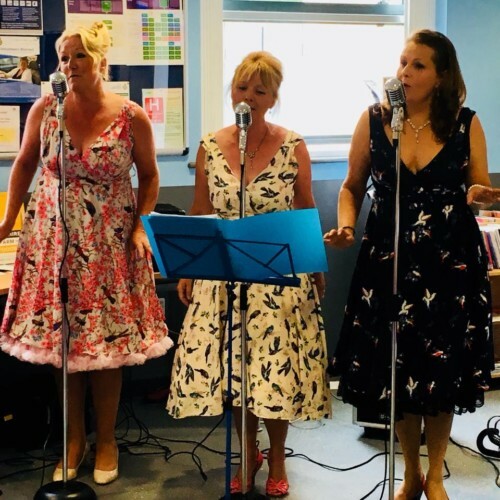 Special thanks to fabulous local singing trio The Foxgloves and to Ashbourne Mayor Sue Bull who visited the ward, so that the patients didn’t miss out on the special occasion. Also to Notty Hornblower from Hope House Costume Museum, Alstonfield who kindly provided the vintage unform display. 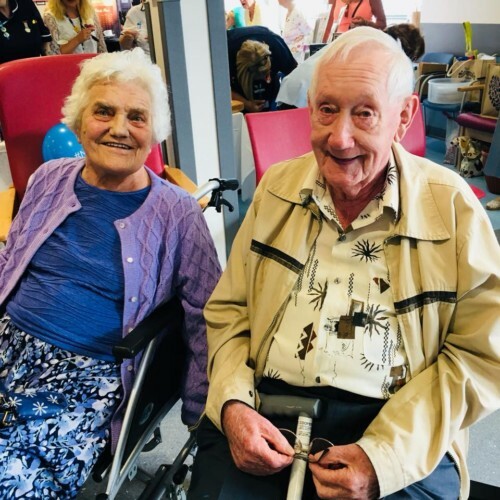 Careline members Dorothy and Bernard catching up over tea & cake! 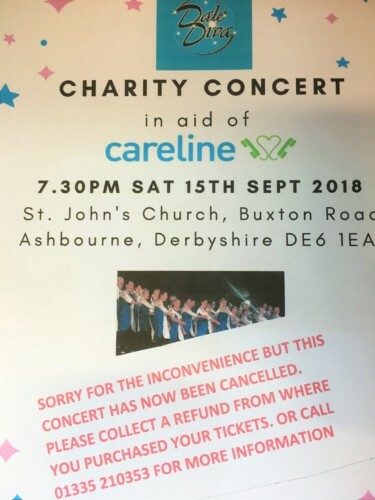 Unfortunately our planned Dale Diva charity concert has been cancelled. Apologies if you have already bought a ticket – Natural Choice in Ashbourne will be able to give you a refund. Thanks to Dale Diva for their support and for being so understanding at this late stage. 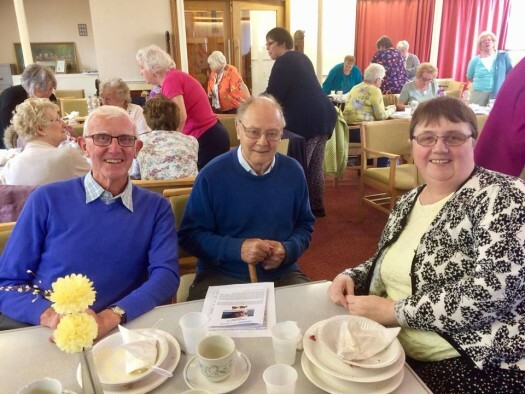 On 16th May, Careline’s East Staffordshire members were invited to join the Uttoxeter Friendship Group for their annual Strawberry Tea. 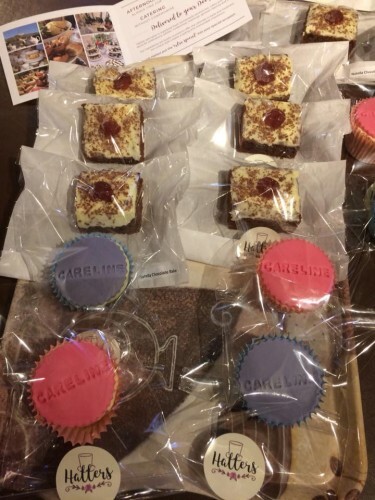 The Group have always been great supporters of Careline and this fantastic afternoon strengthened our friendship even more. 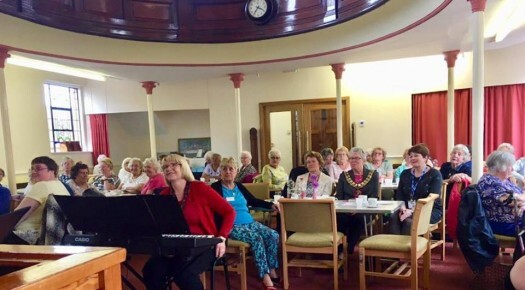 We all had a lovely time and thoroughly enjoyed a delicious afternoon tea and entertainment from the Sitwell Singers. Thank you to the Friendship Group for making us all feel so welcome! 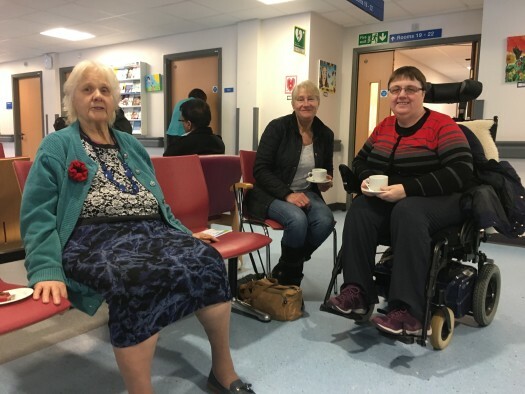 We had a lovely time hosting Careline’s third monthly Coffee & Chatter morning at St Oswald’s Hospital in Ashbourne last Friday. Many of our members and volunteers attended as well as people from the local community. 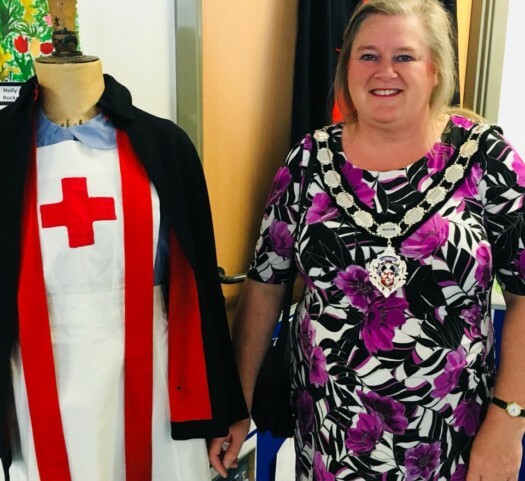 Along with our usual fair of homemade cakes and handmade items, we also had a lovely donation of cakes from Hatters Tea Parties (images below). 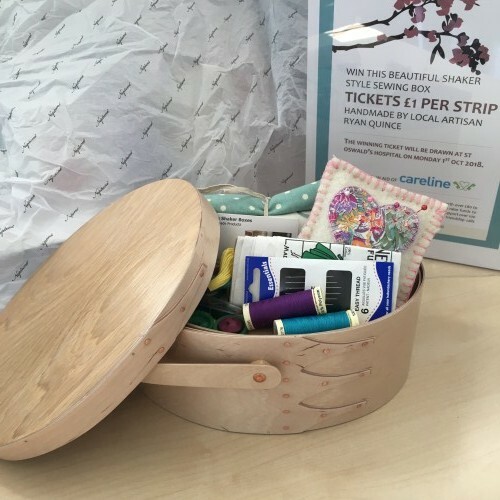 We also held a raffle for a beautiful shaker style sewing box, lovingly handmade and kindly donated to us by Ryan Quince. If you didn’t get the chance to purchase raffle tickets this time round, don’t worry as we will be selling raffle tickets at each of our coffee mornings until the draw on October 12th. Our next Coffee & Chatter morning will be Friday 11th May, 10am-12pm. So if you fancy a free cup of tea or coffee, and a slice of homemade cake, please add it to your diaries as we’d love to see you there! 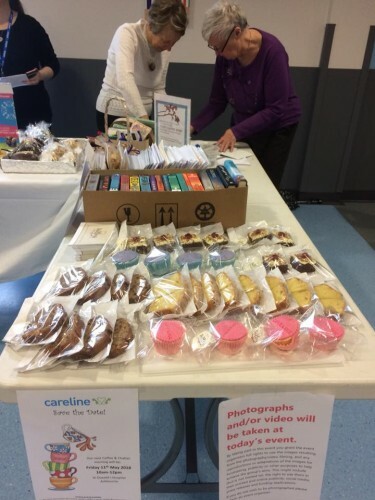 Our volunteers selling raffle tickets and a lovely view of the delicious cakes kindly donated to us by Hatters (Photo (c) Hatters Tea Parties). More lovely cakes by Hatters (Photos (c) Hatters). 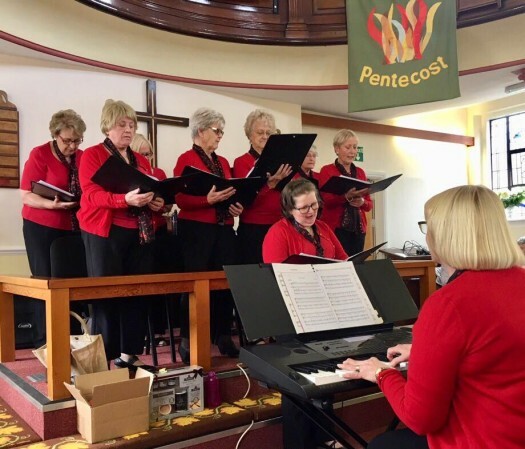 Our lovely members and volunteers. 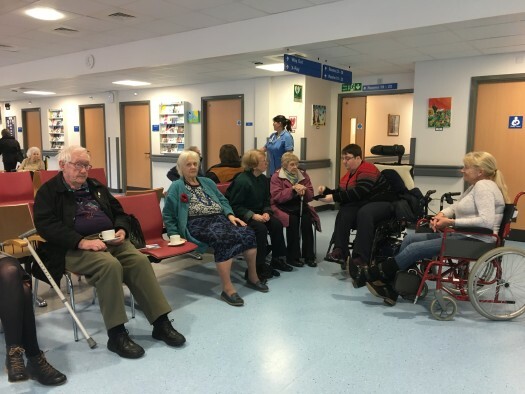 Our members and volunteers having a good natter. We are raffling this lovely Shaker Style Sewing Box, made and donated by local artisan, Ryan Quince.